Yesterday, Balakrishna made a sensational announcement that he will be making a biopic on his father NTR’s life. This became a hot topic of discussion all over and everyone went crazy about it. Things came even to the point when NTR’s second wife, Lakshmi Parvati openly stated that she will surely fight against the film if Chandra Babu will be shown as a hero in the project. So many other things were also raised by various others as to how will the film be made and which phase of NTR’s life will be shown in the film. 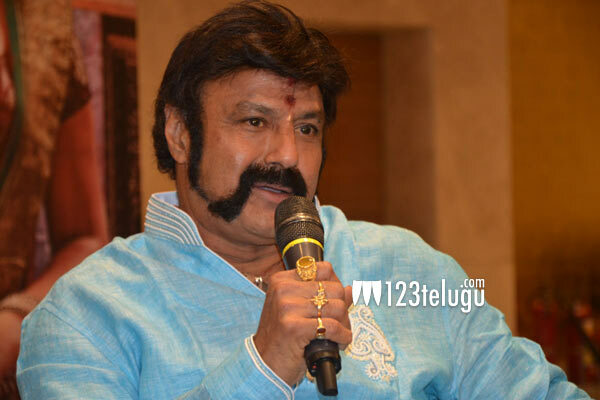 So, Balakrishna himself sprung into action today and revealed in a press meet that he pretty much knows how to start and end the project and has already allotted a special committee which is working on the script and other details of the biopic. The star hero also made it very clear that he himself will be reprising his dad on the screen and a director is yet to be finalized for the same.